I recently purchase a few of these cabochons from Angela Fowler that she's calling Rio Grande Rustics. 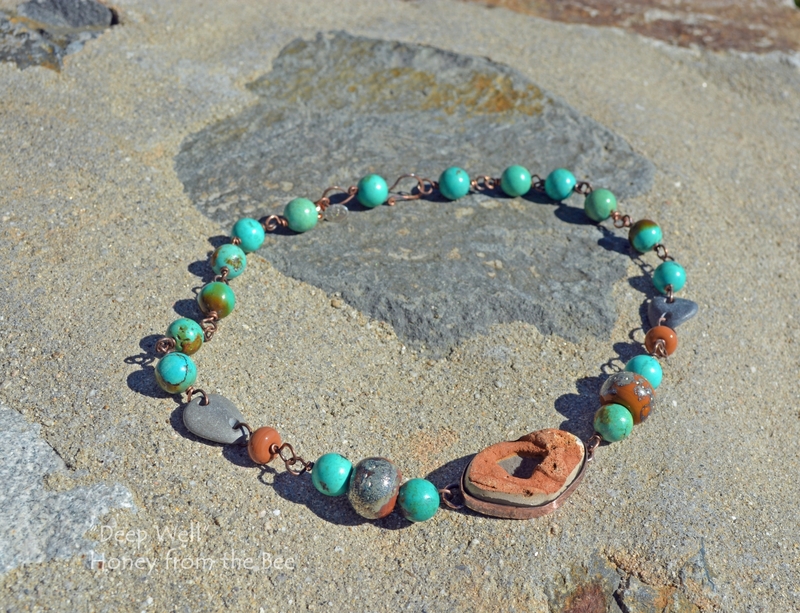 They are indeed rustic and the concretion formations have such interesting textures and the rust, copper and steel colors that are so fun to work with. This western inspired necklace is one of a kind, because you're not going to find another centerpiece like this one anywhere. 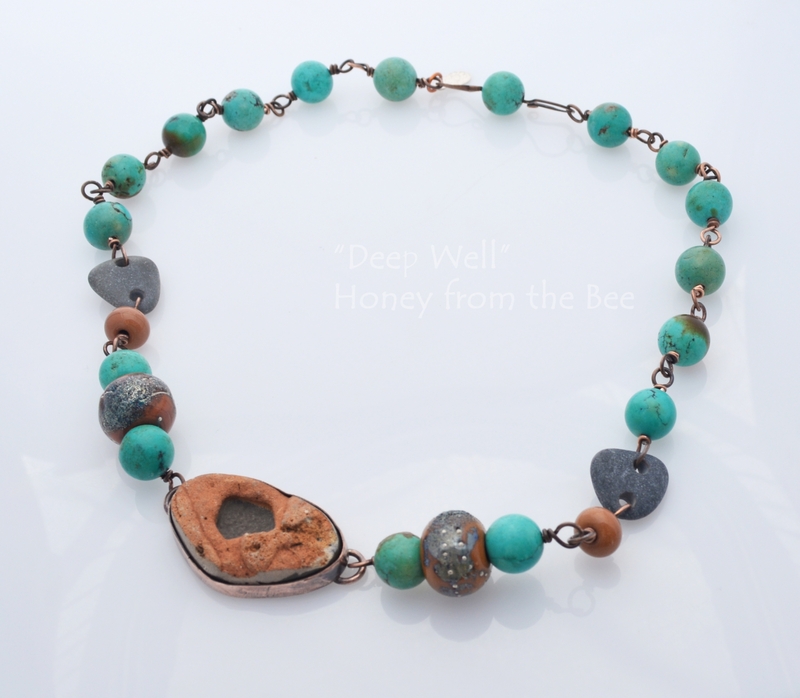 My first necklace using them is this one I'm calling Deep Well. I've taken the gorgeous cabochon and set it in copper. 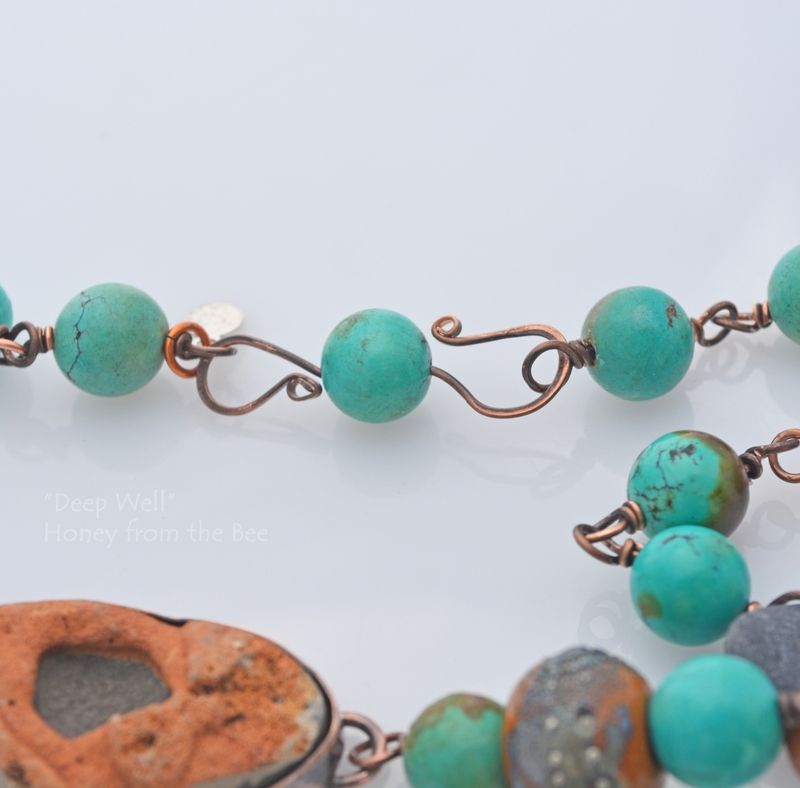 Then I created a rosary style chain with 10mm round turquoise, lampwork from Canyon Echoes, smooth grey beach stones, and copper wire. The lampwork by Canyon Echoes has a terra cotta base and has a raku silver organic design on it. They look like they were made for this casually rustic necklace. 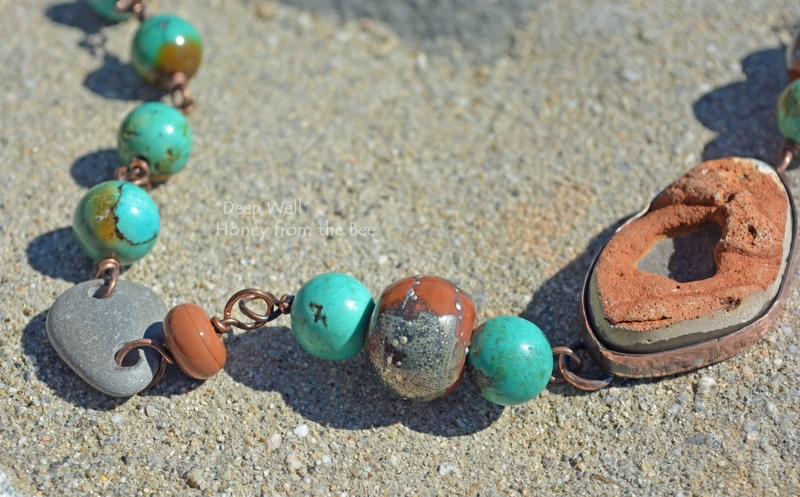 An S-shaped clasp with an additional turquoise bead gives the appearance of a continuous strand from start to finish. It's also an easy on/off type of clasp.